Exercise is ideal for maintaining good health, losing weight, and staying in shape. But as we age, our body begin to lose muscle mass. Sarcopenia or the loss of muscle, is the responsible for fractures, falls, low bone mineral density and insulin resistance. For seniors, strength training is not only key to fighting these deficiencies, but it’s also an effective way to build muscle, burn calories, and increase stamina and agility. In one study, a group of people in their 60’s, 70’s and 80’s developed a strength training routine. Soon after, they noticed improvement in bone density, faster metabolism, greater balance and increased brain power. 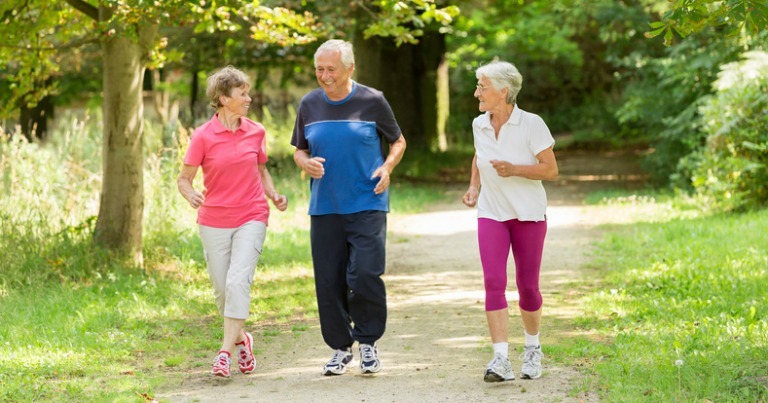 Seniors who trained twice a week for six months also improved their mobility and performance. If you’re just looking to improve your performance in everyday activities like walking, bending, reaching and climbing, then you may want to consider strength training. But before you begin any fitness regimen, Freedom Home Care recommends talking to your doctor to avoid injury and to find the program that’s right for you. An effective strength training workout doesn’t require heavy weights or bulky equipment. Many of these exercises can be done even if you’re receiving outpatient services or personalized elder care. Here a few activities that only require your own body weight and an elastic tube. Sit on the floor, keeping your torso upright and your legs out in front of you. Ben d your knees slightly and keep your feet together. As you place the center of the elastic tube across the soles of your feet, hold the tube with your hands. Keeping your arms extending out in front of you, bend your elbows and slowly pull the tube toward your chest. Hold it there for a few seconds and then repeat. Stand with your feet apart – parallel to your hips – and hold the center of the tube under both feet. With your arms down by your sides, hold tube handles with your hands. Bending your elbows slightly, lift your arms out to the sides with palms facing the floor and hands reaching shoulder height. Repeat as desired. Here are several moves you can do without any equipment at all. Start by lying on your back with your knees bent and feet flat on the floor. While flattening your back on the floor, squeeze your gluts and push your hips up into the air. Lower your body and repeat. Get down on all fours and place your hand directly under your shoulders and your knees under your hips. With your back flat and abdominals tight, reach straight in front of your shoulder with one hand and lift your opposite foot straight behind your hip. Hold for three breaths and then lower your hand and foot toward the floor to start again. Repeat on each side. Remember to move slowly and go at your own pace. In no time, your strength training routine will help you create a healthier, more active lifestyle.